When you are on vacation at the sea-shore or hill tracks, pure water is the first thing that you should ensure. So, a water canteen is the required accessories of every one, for hiker or biker as a camping canteen. But, any water canteen might not meet your expectation, and this is a good reason why you look for a water canteen that is suitable for you or your children. Modern water canteen features many things at the same time. Many of them have the ability of filtration. 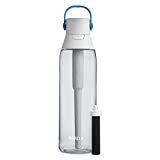 So, you can collect water in the best canteen water bottle from anywhere like a stream and still you are certain that you drink pure water like the water of your home filter. Some water survivals allow you to keep your ice-cold water or coffee hot from morning to evening. However, before choosing the right water canteen for you, you should know about some best survival canteens and pick your one for you. We have some information to share after reviewing some good water canteens, so you can choose the most suitable water canteen for you. How Do We Pick The Best Survival Canteen? There are countless water canteens in the market; so, it is difficult to pick up the appropriate one. Still, it is easy to buy one and to drink water, but that might leave your health at stake. In our reviews, we have paid more attention to purity of the water. Because many water canteens contain BPA in the water which is an industrial chemical and harmful to human health. We have chosen 10 best survival canteens based on price, quality, filtration system and time. Besides, we take care of the space it takes in your small safari bag. Aware of purity? Etekcity Portable 1500L Water Filter meets the EPA water quality standard after testing by TuV SuD institute. This canteen ensures 99.99% pure drinking water. So, the user can drink water from Etekcity Portable 1500L Water Filter without any worry. It has three filtration that saves water from a different type of waterborne bacteria like Cholera, salmonella. It comes with a cleaning syringe that extends the lifetime of the bottle. The user needs not to buy a water canteen every month. When you are out of the city, Etekcity Portable 1500L Water Filter offers you the capacity of filtering 1500-liter water from any source like creeks or streams without regarding how much dirty the water is. Etekcity Portable 1500L Water Filter understands that wherever you are, you always deserve the pure drinking water. Stage 1: Pre-Filter The pre-filter attachment acts as your first line of defense when drinking from turbid water sources. 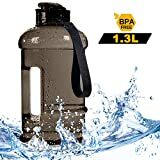 Attaching the pre-filter to the Personal Water Purifier removes rust, silt, worms, and other large contaminants as you drink from your desired source. 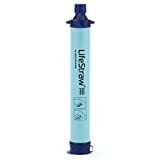 Stage 2: Carbon Filter The carbon filter near the base of the water purifier works to remove chlorine, heavy metal ions, and trihalomethanes (THMs), which are used to disinfect water or are disinfection by-products and are potential carcinogens. Stage 3: 0.01 Micron Hollow Fiber UF Membrane The Hollow Fiber UF Membrane filters particles as small as 0.01 microns. By capturing 99.9999% of waterborne bacteria, protozoa, mold, and other volatile organic compounds (VOCs), you’re left with clean drinking water to ensure your survival and safety. No compromise with quality and price? Etekcity Portable 1500L Water Filter can be your smart choice. It will cost you a higher price but will provide you with the purest water that any water canteen can ensure. Besides, it is easy to carry. Not enough space in your camping bag? Survivor Filter Collapsible Canteens can help you. It is flexible and requires less space. You can fold it and carry in a little camping or hiking bag. Put it out and use whenever you need. You need to worry about the harmful industrial chemical or BPA; Survivor Filter Collapsible Canteens is free from BPA. It is reusable, refillable and eco-friendly. Survivor Filter Collapsible Canteens comes with lifetime warranty. Still, if you are not satisfied with Survivor Filter Collapsible Canteens, the retailer will return your cash without any reduction. Survivor Filter Collapsible Canteens can be collected at a moderate price. It takes little space in your pouch as it can be folded any time. Survivor Filter Collapsible Canteens can be filled quickly compared to other same category canteens. Use your canteen in a rough way? Rothco G.I. Type Stainless Steel Canteen Cup has been built in a way so that you can use it with the possible roughest way without harming your canteen. The company uses “Military rugged” to define Rothco G.I. Type Stainless Steel Canteen Cup. Its lightweight helps you to use it at ease, and its thickness assists you to use it comfortably. Rothco G.I. Type Stainless Canteen Cup has a smooth handle which is made of wire. It helps to keep holding the canteen for a longer period of time. The stainless steel of Rothco G.I. Type Canteen Cup keeps it away from rust. The canteen observes heat and boils water in no time. Its simple, clear color and design attract the user at the very first time. Those who think about the quality first, Rothco G.I. Type Stainless Steel Canteen Cup can be their appropriate choice as the best survival canteens. Its military rugged structure allows users to use it roughly ensuring that it won’t break. Its simple design can attract anyone. Want to see you child happy? Coleman Coleman Kids Wonder Lake Canteen can be the blessing for you. Its attractive mixture colors appeal attention of all children. All the colors have been suitable to bring back the laughter of your child. Coleman Coleman Kids Wonder Lake Canteen is very light that helps any child to lift it. Besides, the adjustable shoulder strap is convenient for carrying the canteen without using a single hand. The fabric sides of Coleman Coleman Kids Wonder Lake Canteen make it soft so that any children can grip it comfortably. It never hurts children. No one should worry about price for buying Coleman Coleman Kids Wonder Lake Canteen. This beautiful water canteen is available for returning your child’s smile at the lowest cost. Its funny design and adjustable shoulder straps make it popular among children. Does your child lose water canteen cap all the time? Buy it a Backyard Safari Field Canteen. This canteen has a no-lose-cap band. A child can not lose the cap, even it wishes. If any child is no longer interested in using the attached bag, Backyard Safari Field Canteen allows to remove the pouch and use it without the bag. Backyard Safari Field Canteen has comfortable and soft straps that permit a child to carry it on shoulders without holding with hand. Besides, maximum children like its military style where all children’s curiosity stops. Backyard Safari Field Canteen is available at a moderate price. It allows a child to carry it easily but not to lose the cap. One can use the bottle without the canvas pouch if one wishes or when one needs. It has an adventure guide for free. Rothco Aluminum Cup Canteen is one of the smallest water canteens with a sturdy structure. ISO certifies it as a military canteen for its strong surface. Rothco Aluminum Cup Canteen is BPA free. So, it won’t manipulate your food. It is made of heavy aluminum that keeps your canteen safe at the riskiest time. This little and small survival canteen can carry 24 oz water for you. Rothco Aluminum Cup Canteen saves you from emergency dehydration with its minimal amount of water. Rothco Aluminum Cup Canteen balances with your wallet. 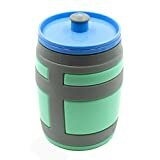 Its BPA free and its wonderful handles help you to carry it easily. Its shiny black color is attractive. However, Rothco Aluminum Cup Canteen is claimed to have contained a chemical which is known as responsible for cancer and several reproductive harms. Please ask the retailer how you can avoid this. Looking for a stylistic water canteen that will make your weekend more colorful? Stansport Canteen awaits you. It has an adjustable shoulder strap that secures your pure and bacteria-free water for your vacation. The plastic body of Stansport Canteen is protected with a blanket covering that makes your water cold at the hottest weather. Its screw-on cap saves the cap from losing during your safari time. Besides, Stansport Canteen makes your look more stylistic and more attractive. It makes you younger in choice and style. Stansport Canteen allows you to collect it at your budget. It is available at a moderate cost. Stansport Canteen is made of high-quality plastic and is protected with a blanket cover. It allows you to carry on shoulders and not permit you to lose the cap. Need to carry ice-cold water or hot coffee? Live Infinitely 17 oz Double Wall Vacuum Insulated Water Bottle can keep your ice frozen for 30hours. Your hot morning coffee will be at the similar temperature in the evening as you left. Seems flowery? That’s the magic of this bottle. 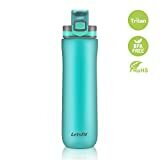 As it is made of pure stainless steel that is suitable for carrying food, Live Infinitely 17 oz Double Wall Vacuum Insulated Water Bottle is rust and sweat free. It is free from Industrial chemical (BPA) that is harmful to human health. Whether you are in hiking or biking, the cola shaped bottle aids you to drink water at ease. It’s easy to carry for its small shape and lightweight. One-year unlimited warranty is to secure you from the unanticipated issue. If you are a quality seeker but do not like Rothco G.I. Type Stainless Steel Canteen Cup for its simple view, Live Infinitely 17 oz Double Wall Vacuum Insulated Water Bottle is an appropriate option for you. It ensures both quality product and stylistic view. TargetEvo Stainless Steel Military Canteen is made of heavy-duty stainless steel. As a result, you will not face problems with rust. It is a military canteen cup that allows you to use it as the way as you want. TargetEvo Stainless Steel Military Canteen cup has butterfly-shaped handles so that user can enjoy while using it. Butterfly shaped handles are easy to hold. Its well-fitted lid satisfies you guarding your water against outer dust or other waste. TargetEvo Stainless Steel Military Canteen is simple to look. Its clear steel color is the source of attraction to many consumers. It can carry around 750 ml water for you and can be your best friend in an emergency. If you are ready to buy the simplest-view canteen at the highest price, TargetEvo Stainless Steel Military Canteen is good for you. It lasts longer than any other similar water canteens. As it is made of stainless steel, no need to worry about rust. Surprised to see that a leather pouch will carry water? Yup, its true. Laken Spanish Leather Wine Bota Water Canteen can carry water for you for a longer period of time like a month. That you might become surprised isn’t really a surprise. The inner surface of the canteen is made of polyethylene that helps save water. You can carry water or liquid like wine for a month and gets the original liquid after one long month. However, we don’t commend you to carry hot liquid like coffee or tea. The great opportunities for Laken Spanish Leather Wine Bota Water Canteen are that one can choose from different shapes and sizes. The price also varies with the changing of sizes and shapes. So, you can buy the best-suited one for you at your affordable price. Laken Spanish Leather Wine Bota Water Canteen is available in the market at the lowest to the highest price. Its kidney-shaped canteen reminds you to drink pure and more water to save your kidney. You can buy at the minimum price you can afford. Now you are knowledgeable about top 10 best survival canteens in the market. We have tried to show you the best water canteens in a more practical way rather than depending on some vague ideas. There is more information that you should know to choose the best survival canteens for you. Quality is the first choice for many people without regarding their income source. If you don’t want to compromise with quality, Rothco G.I. Type Stainless Steel Canteen Cup and Live Infinitely 17 oz Double Wall Vacuum Insulated Water Bottle suit you best. If you like to buy the best price available survival canteen, we recommend Etekcity Portable 1500L Water Filter and TargetEvo Stainless Steel Military Canteen. Either of the products will not disappoint you. Looking for a good water canteen at a moderate cost? We can choose one from Backyard Safari Field Canteen and Stansport Canteen. The water canteens that you can buy at the lowest price are Coleman Coleman Kids Wonder Lake Canteen and Laken Spanish Leather Wine Bota Water Canteen. Doesn’t suit a single one? The most desired model awaits you. If you want the best quality and ready to invest the highest price, Etekcity Portable 1500L Water Filter is your only choice. The option of choosing a suitable survival canteen can be initial needs for you. Just the Right Bite: Combining the patented CamelBak Big Bite Valve with a stem tube and shut-off valve, this detachable one-piece component is simple for kids to use and simple for parents to clean. Stain-resistant and taste-free Tritan is 100% Free of BPA, BPS and BPF. 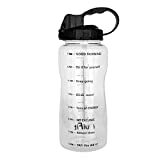 Kid-sized, fun and easy to clean, this bottle is ready for any adventure.